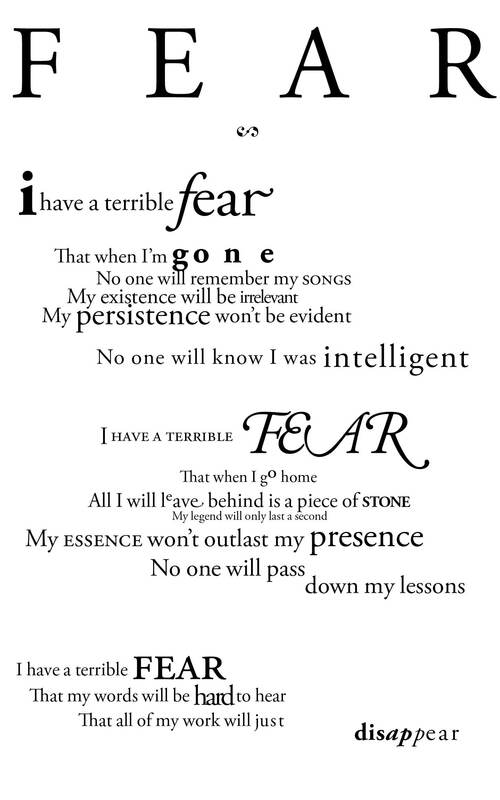 Showcase Poetry Typography - examples required. 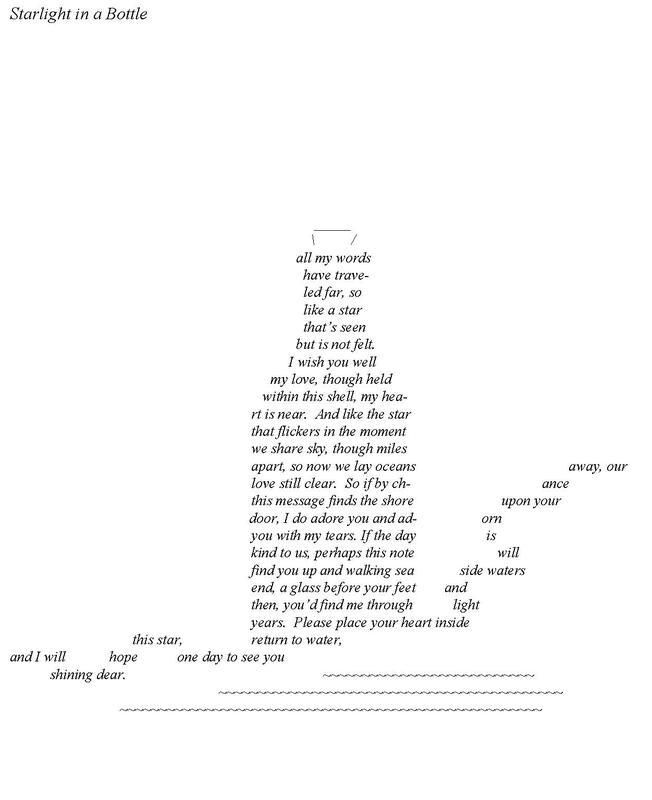 Hi all, looking for some links to outstanding examples of poetry typography online. I decided to just do links, because they're weird sizes, and I didn't want to break typophile. Plus I'm a bit lazy. Thanks for that TylerEldredge, I did a search but nothing came up like your search results. 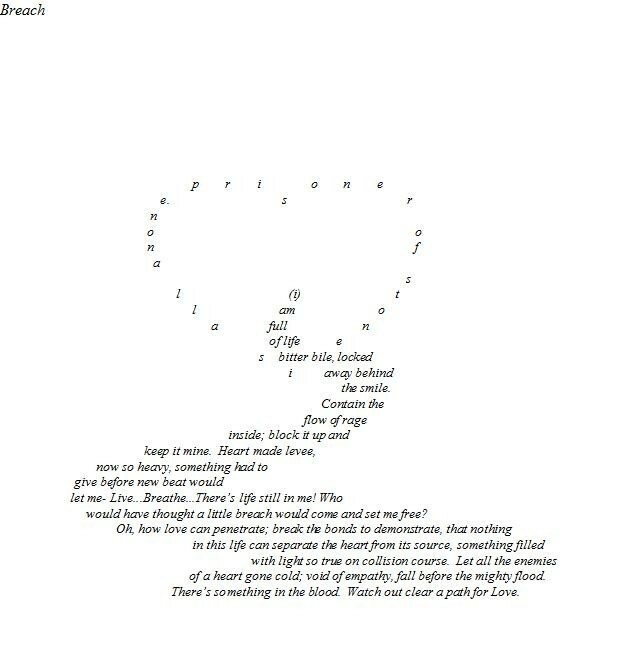 I was given a poem to type up because the writing was so bad you could hardly read it, plus the grammar was off and so on. It was a good opportunity for me to try to make it a showcase on typography. It turned out well (IMO) but he asked me not to post it on the internet. Not for publication. 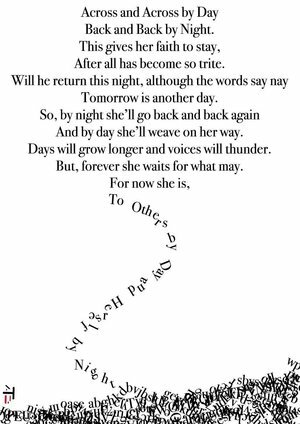 Personally, I'm wondering if anyone has seen some outstanding examples of more traditional typesetting of a book of poems (By traditional I just mean "regular" as opposed to concrete poetry, where the design does not alter the meaning of the poems.). One would think that books of poetry by the top contemporary poets would all be designed especially well, but alas this is not the case. There is a frequent lack of attention to the most basic principles, as well as plenty of "over-designing" with zillions of typefaces, random doodads, recurring clips of the same badly pixelated photo, etc. To me one especially difficult element to design in a poetry book is the margins. Many collections have poems that are all flush left but with widely varying line lengths from poem to poem. Many designers seem to ignore this, as though they believe that the right margin setting they typed in the computer will appear as a design element even though no text or other printed element ever aligns with it. Books designed with mirror margins this way look like they have a completely random layout page to page. So I would love to hear some nominations for the best poetry book designs out there-- doesn't need to be online examples. Copper Canyon Press books generally have excellent design and layouts, in my opinion. The original edition of "How Does a Poem Mean" by John Ciardi (don't know if there's been another edition since) has a very utilitarian, textbooky design that isn't beautiful but works surprisingly well. The edition I have was clearly set in Linotype or Monotype and printed letterpress (you can feel the impression). It's interesting to see how the typographer contends with the scansion markings, which sometimes appear to be drawn in. I wonder if the type was set and printed, the arrows added by hand, and then the sheet photographed and printed as a plate. Although there's nothing particularly nice about the plain and rather quirky design, I have a fondness for it. It does, to address silvers's comment, center each poem on its longest line.